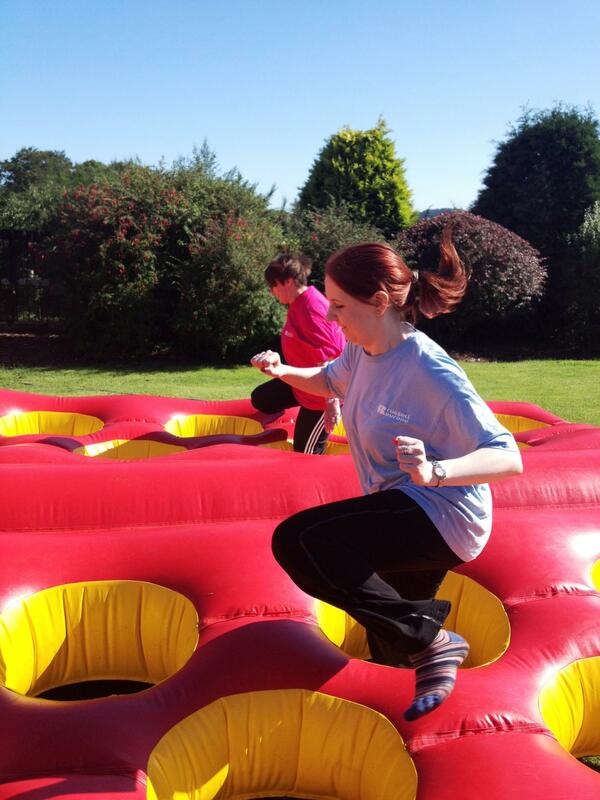 The second It's a Knockout challenge was the Gold Rush, a game that all of the teams managed to do well as the competition levels rose this was necessary as no team wanted to be left behind early doors. 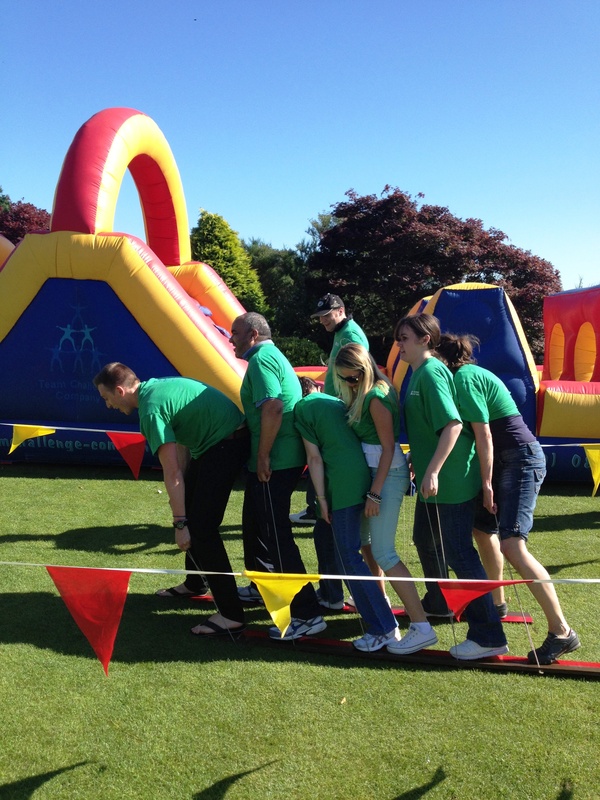 Following the two races it was time for the teams to tackle the Bucking Bronco. 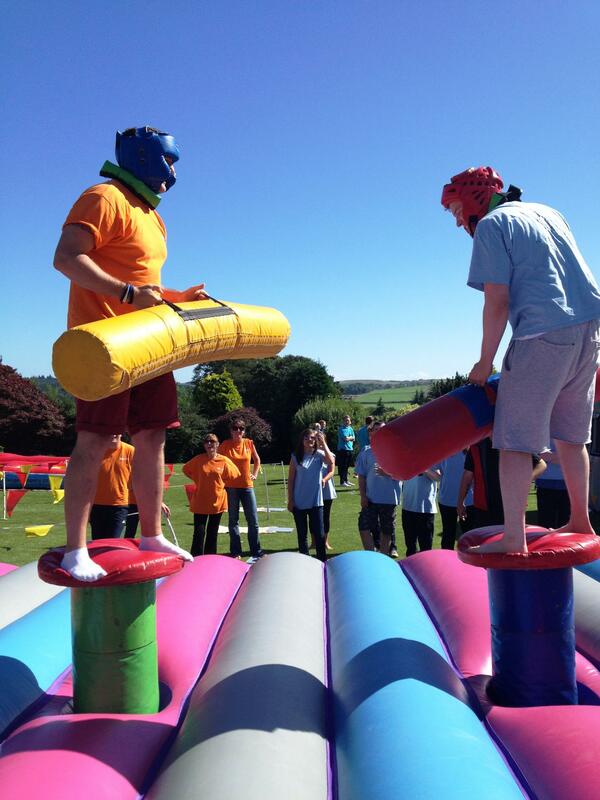 Each of the teams put forward two volunteers with the highest combined time being the winner and taking home the much needed points.Over on the It's a Knockout Inflatable Zone, the teams were battling it out on the Gladiator Duel with some fierce blows being given and received this showing the desire of all to win. On the Bungee Run some of the teams found it more difficult than others and some members of the teams got a shock at how difficult this task really was. Finally on the Sumo Suits there was more of a competitive spirit being shown with some of the largest and strongest shoves and pulls that we have ever seen. 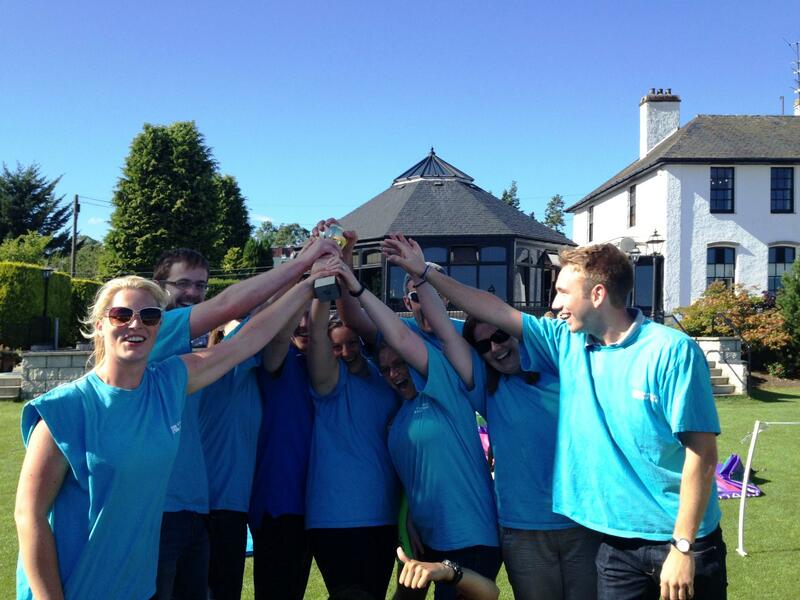 "Not only did we have the weather for a brilliant day - we had fantastic teams! 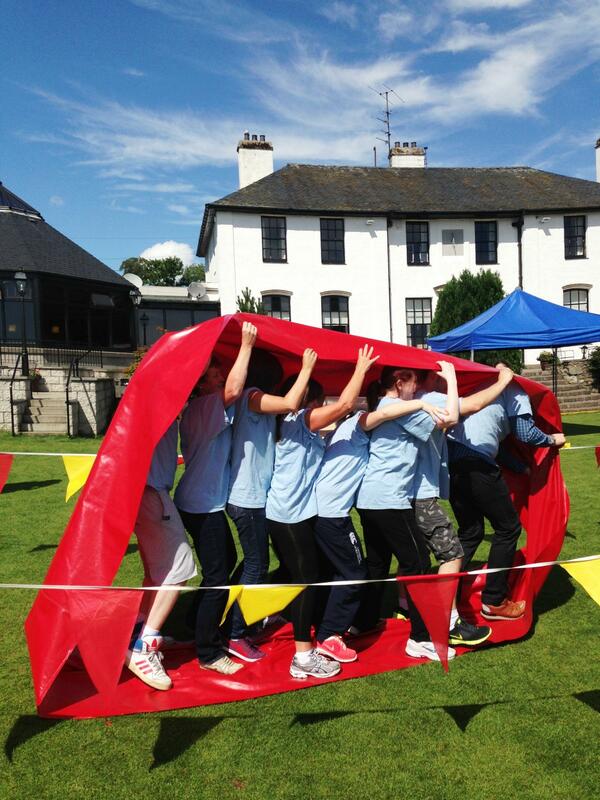 It's always a pleasure to work with teams such as yourselves who get so involved in all of the races and activities. We had some hilarious moments throughout the afternoon, and the photos are sure to appear on the notice board for a long time to come! See you soon. Gerry"